ItemB-07372 - "View from Hotel, Vancouver"
ItemB-07404 - "Bow Valley, Banff." ItemB-05031 - "Model zinc concentrates suspension roaster"; Trail, BC. ItemB-05037 - The Trail smelter from Riverside. ItemB-05051 - "Trail smelter from the east - year 1938." ItemB-05055 - The Trail smelter from Murray Gardens. 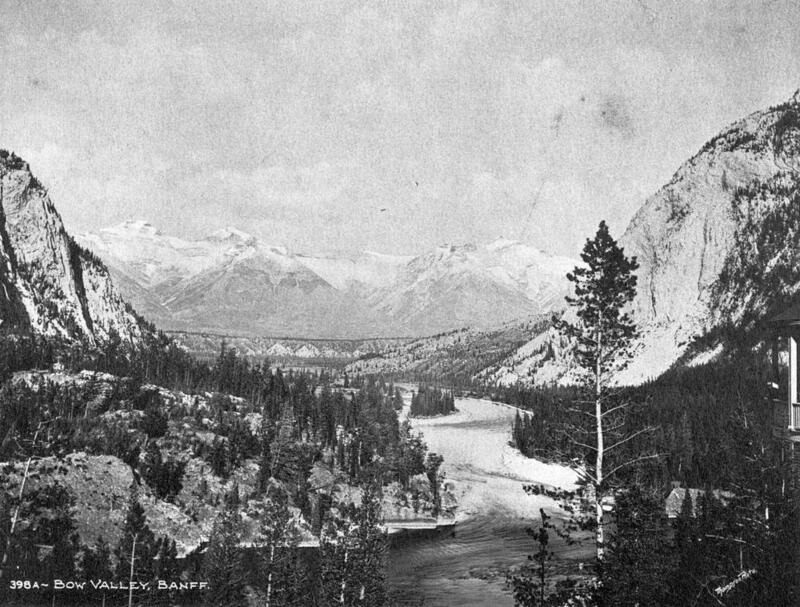 Item B-07404 - "Bow Valley, Banff."